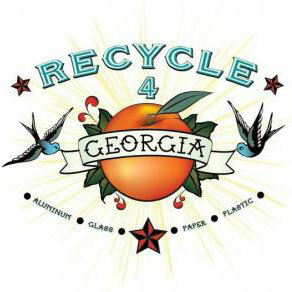 Recycle 4 Georgia is a new state-wide recycling campaign organized by the Georgia Department of Community Affairs Office of Environmental Management. Already the campaign has developed and distributed 35 Away From Home recycling trailers for use at special events. The trailers were awarded to local governments throughout the state for use in area events such as festivals, fairs, and sporting events. Local governments use the trailers for their own events as well as renting them out to other parties interested in recycling at their events. The trailers contain Clear Stream containers designed specifically for special event recycling stored on carts for easy set up. The trailers also come with promotional materials like posters, stickers, and temporary tattoos as well as a user manual to help event organizers develop a recycling program for their event.